We didn't get enough snow to make snowmen last year. We waited with crossed fingers until April rolled around, then we gave up, defeated and longing for a day spent rolling big balls of snow around. This year, if we don't have ample snow in our own backyard for winter fun, we are at least prepared to craft up some snowman fun! I found 6 Snowman Themed Painting Projects for Kids to keep in my reserve of winter fun and I think you are going to like these ideas too! These ideas are simple enough for small children and creative enough to offer your older kids a chance to create and explore new materials. Which is a win/win! My favorite art supply to introduce to children is Kwik Stix, tempura paint sticks. You can get these through my affiliate link. Hopefully, we will get the best of both worlds this winter; a chance to whoop it up in the snow and make a ton of snowmen, then come in and warm up with a painting project or two! 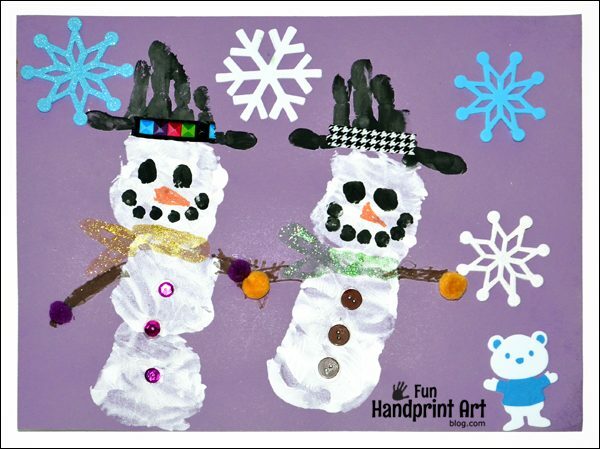 If you have a favorite snowman painting project for kids, please leave a comment to share it with us! You might also like this Paper Cookie Preschool Craft.